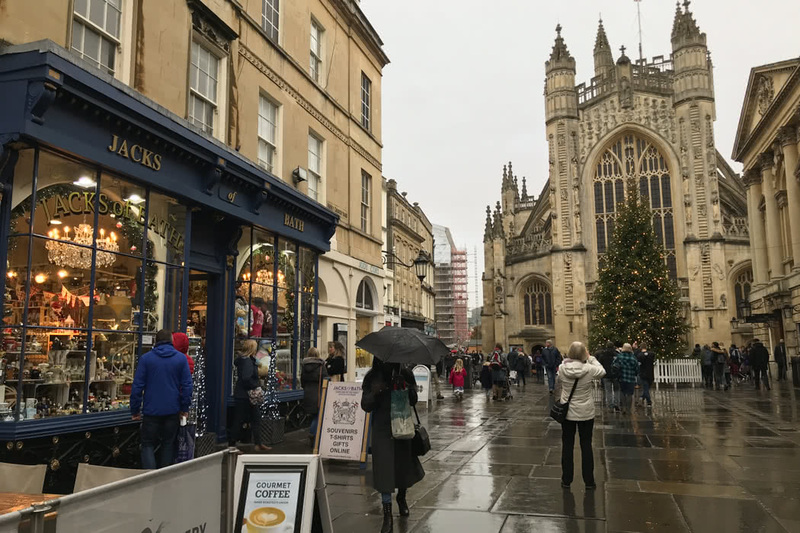 Bath is one of my favourite destinations for a staycation; it offers a complete getaway, whilst not being too far from home. Bath is just one and a half hours from London Paddington with an off-peak return which can be booked on Expedia coming in at £77. If you fancy travelling in First, you can often snag a First ticket for as little as £59.50 each way. More importantly, this rail journey is superbly picturesque, taking you through fields and between the rolling hills that sit on the edge of the Cotswolds. What makes Bath special is largely it’s architecture. The city is hewn out of a creamy limestone that gives the entire city a warm, honey colour and as a result, it being awarded World Heritage status. I highly recommend the Expedia booking experience. 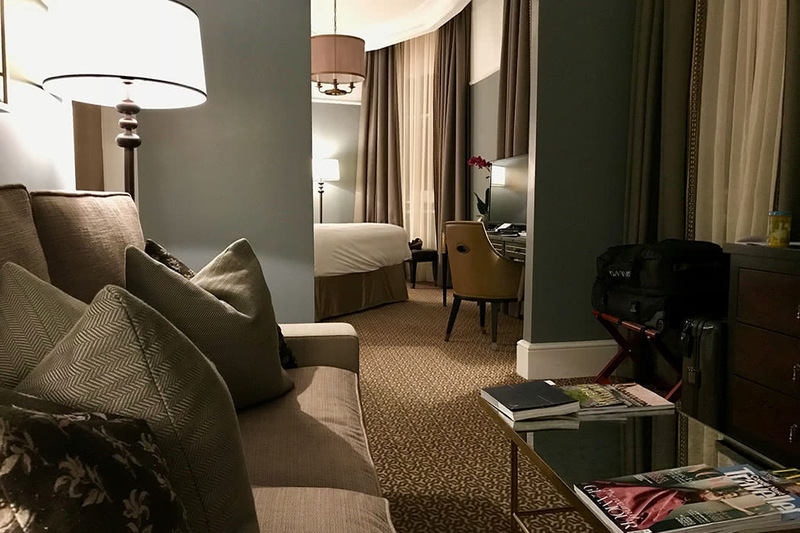 In fact, when I booked this trip, I found the rate offered when you are logged into your account, to be one of the best if not the best available online. Once you login you become an Expedia member which means that you get access to the best rates. The process is simple, great value and you also earn Nectar points with your booking. What I also particularly like about Expedia, is the insightful rating system. Each hotel is rated by previous customers and you can easily click through to all the reviews whilst choosing your hotel making the decision making doubly easy! 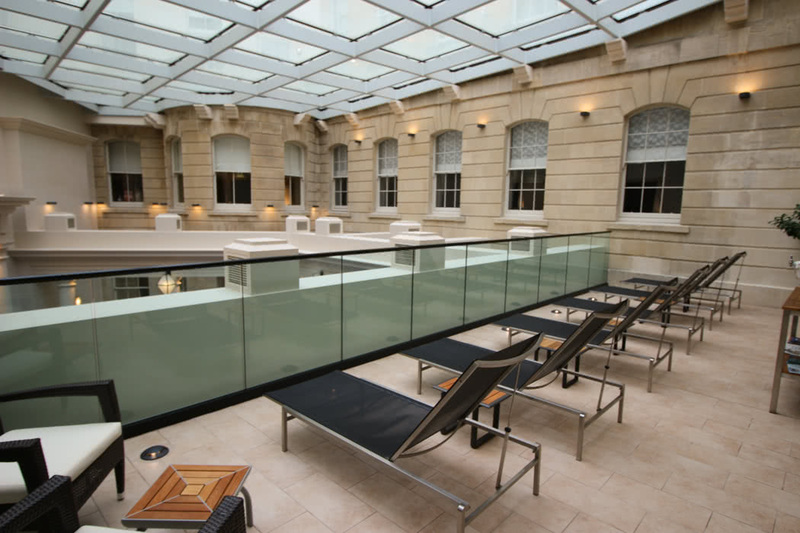 For us, it has to be the Gainsborough Bath Spa which is situated right in the centre of town about 20 steps from the main street. 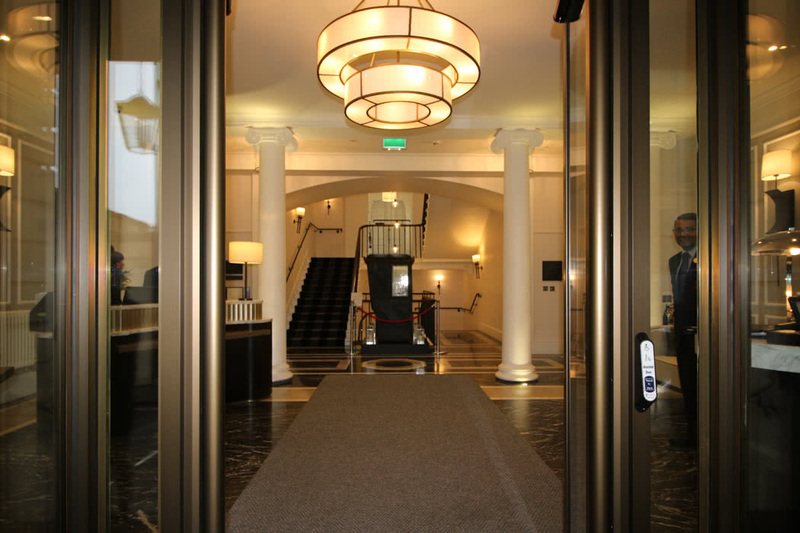 We choose this hotel for it’s location, it’s elegance and the fact that you can waste your entire staycation floating about in the magnificent spa waters in the hotel’s historic spa. The hotel is in a beautiful, historic building. which has been beautifully refurbished. The flower-encrusted marble lobby leads to a majestic stairwell, which takes you down to the spa or up to the rooms. All the lounges, bars and restaurants are utterly stylish and the excellent staff mean that they offer a great ambience as well as excellent food. The main restaurant here has 3 rosettes and the breakfast here is equally delicious. 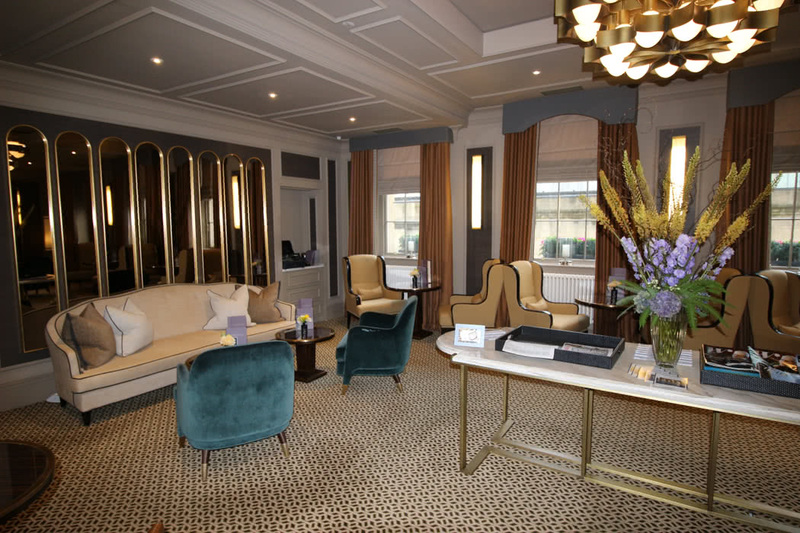 The sophisticated rooms have also only recently been completed and offer superbly comfortable beds, modern bathrooms with Purple Water amenities and classic deep blue walls which offset the white Victorian pelmets and detailing. There is also a free minibar (containing beer, soft drinks, flapjacks and crisps). 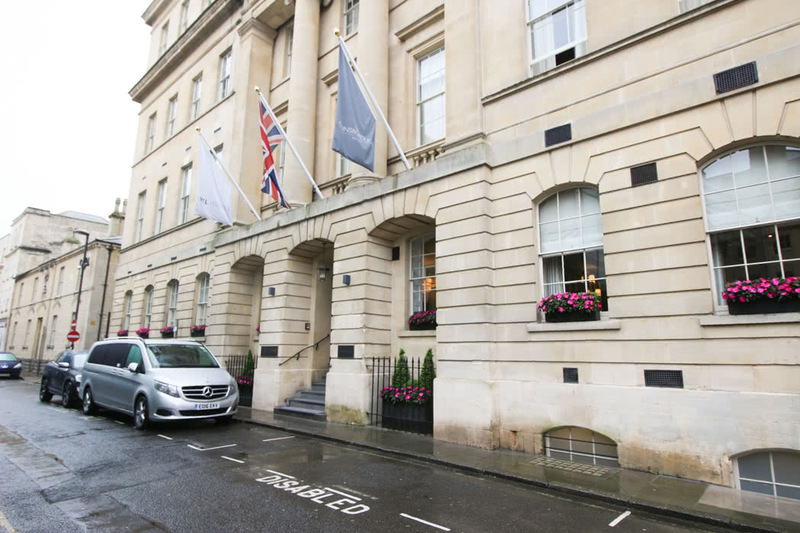 If you stay at the Gainsborough hotel in Bath, they have one of the most impressive spa’s I have ever experienced, all centred around a child-free pool with spouting waterfalls which will pummel your stress away. I have previously enjoyed a magnesium wrap at the spa, which I found to be surprisingly effective. These treatments come highly recommended (by me! ), but if this is an expense too far, all guests are invited to relax on the loungers around and overlooking the pool for free and to bathe in the restorative spa waters for as long as they wish. So you could easily spend most of your staycation in this rather super Roman bathing area. 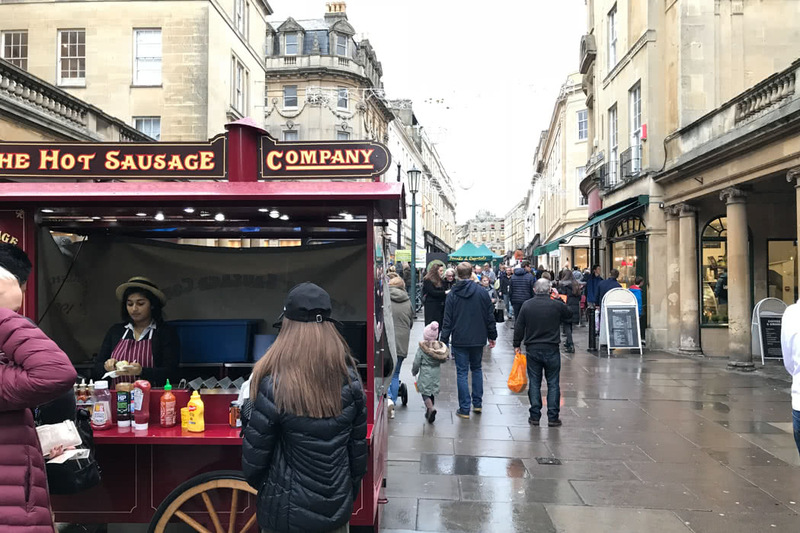 Beyond lazing in your luxury hotel, Bath town centre is particularly pretty and should not be missed. 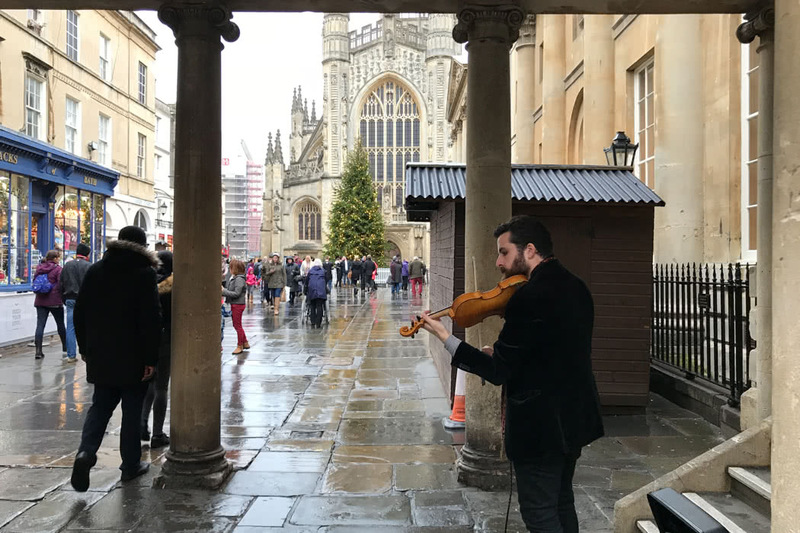 The historic Georgian buildings provide the perfect backdrop for the many street markets including the annual Christmas market that starts late November and is sure to spread some Christmas cheer, if you choose to staycation the month before Christmas. 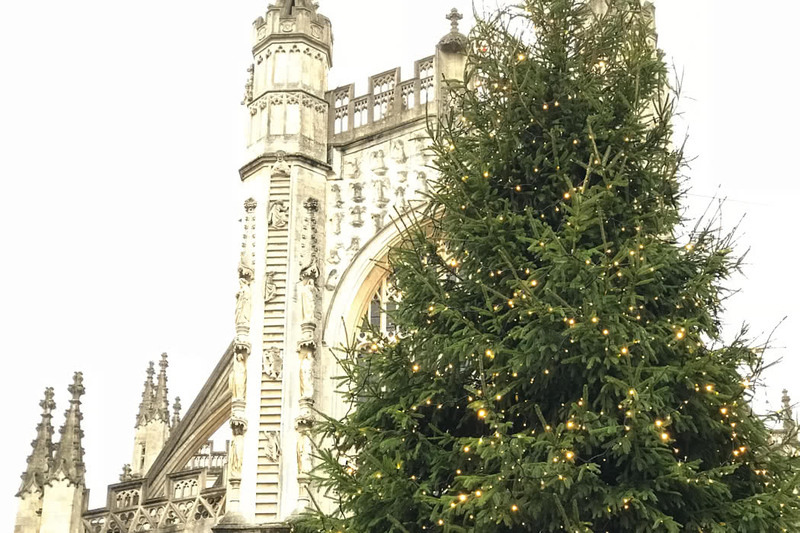 Even without the pretty Christmas lights, the buildings in Bath can be marvelled at any time of the year. Many come complete with numerous Romanesque pillars, giving the city a regal feel. The fact that the whole city is pocketed between rolling hills and that the centre is designed around a rushing river, means that this is the perfect town to while away hours just wandering. My favourite thing to do in Bath is to find a classy bar or an olde worlde pub to grab a beer next to an open fire. If this appeals to you, you are spoilt for choice for traditional feeling pubs or sophisticated bars to waste an evening in. 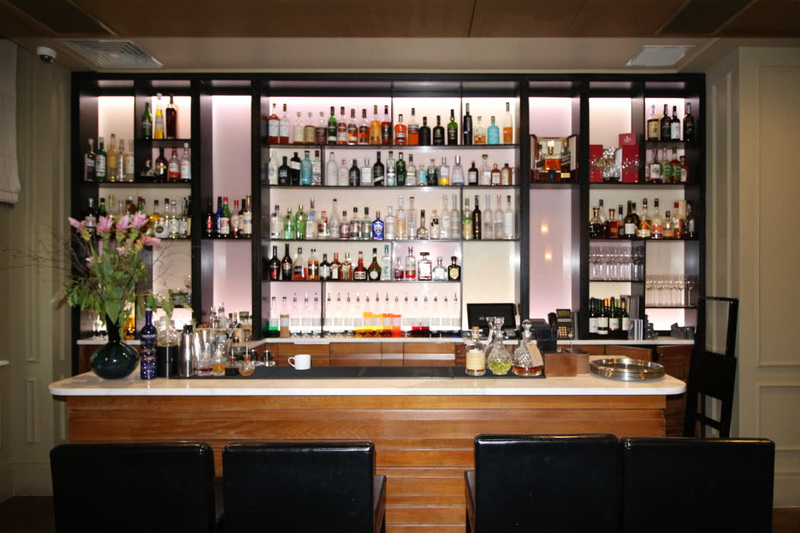 I particularly like the bar at the Gainsborough hotel, but there hundreds to choose from, wherever you choose to stay. 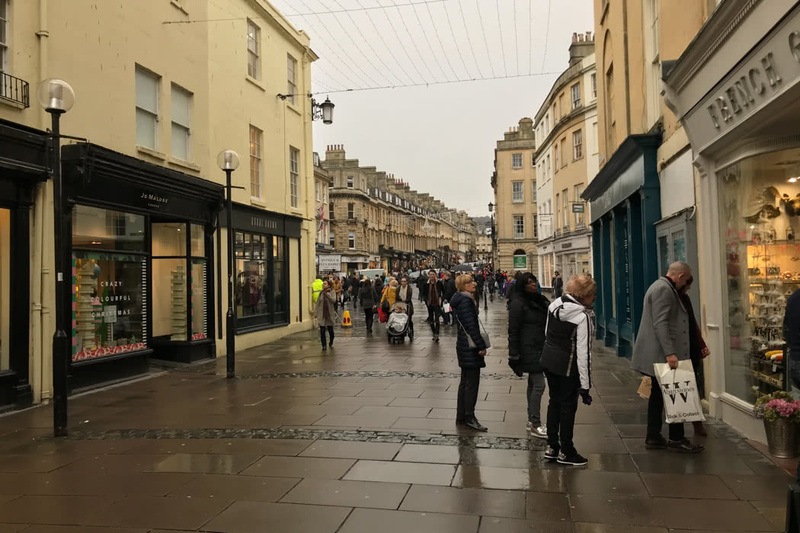 The other thing that every traveller must do in Bath is to enjoy the famous Spa waters. Bath Spa waters claim to heal all sorts of ailments. 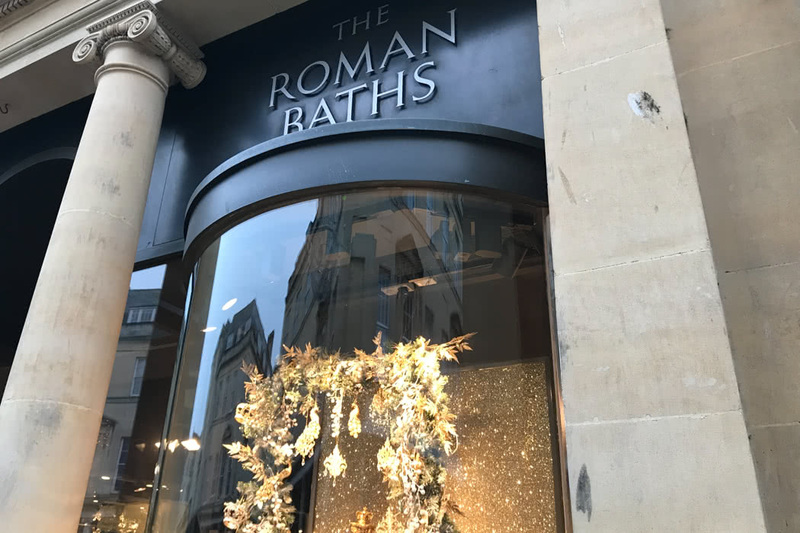 You can visit the original Roman Baths (around £15 pp) where you can taste the famous spa water. This water contains 43 minerals and has attracted visitors to Bath for curative purposes since the late 17th Century. The water sadly smells rather unpleasant so I have not taken a sip, but the tour around the historic baths is enlightening. 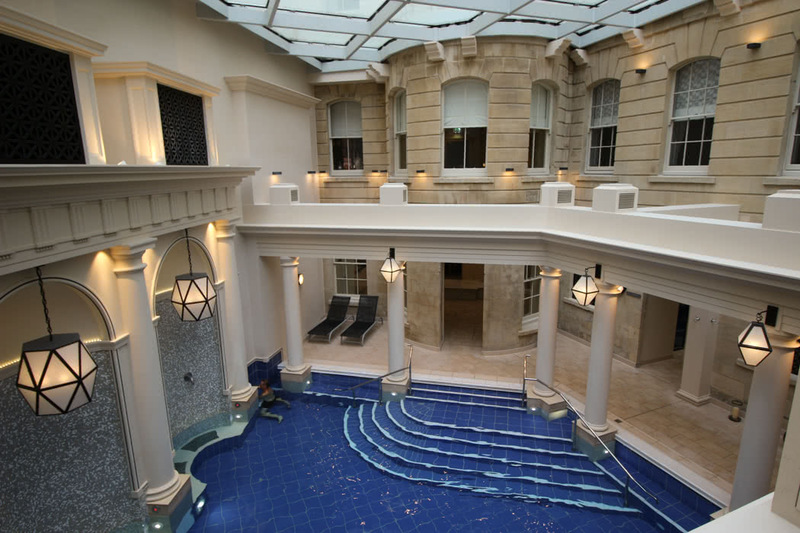 And if your hotel does not have it’s own historic spa, you can pay £75 for a treatment and 3 hours of joy at Thermae Bath Spa. Here, you can bathe in Britain’s only naturally warm, mineral-rich waters just as the Celts and Romans did over 2000 years ago. We like floating about in their spa pool on the roof (pictured above) as the sun sets.